The Jubilee Medal of St. Benedict is recognized as a sacramental of great power, particularly for those seeking healing from illnesses and and rejection of all that is evil. Master Stone. Powerful amulet to attract good luck, prevent accidents, enhance self-confidence.Wear it on your left wrist to welcome its energy. There is indeed no medal that possesses such wonderful power and none so highly esteemed by the holy Church as the Medal of St. Benedict. Whosoever wears this medal with devotion, trusting to the life-giving power of the holy Cross and the merits of the holy Father St. Benedict, may expect the powerful protection of this great Patriarch in his spiritual and temporal needs. 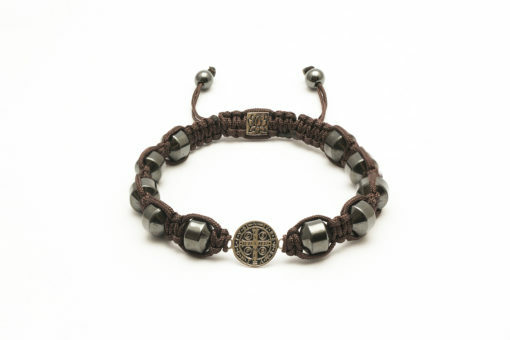 The medal is one of the oldest and most honored medals used by Catholics and due to the belief in its power against evil is also known as the “devil-chasing medal.”Wear it on your left wrist to welcome its energy. Find a quiet place to be at peace. 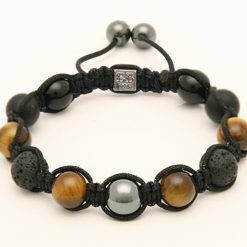 Place bracelet in your hands, palms up. 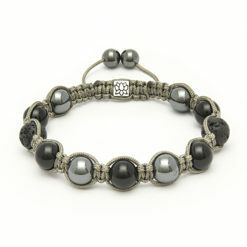 Focus deeply, and feel what you are hoping the bracelet gemstones will heal. 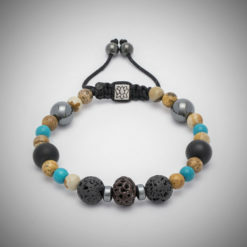 In your mind’s eye, picture and feel the energy emanating from the gemstones in your bracelet, at the same time you picture and feel your energy. 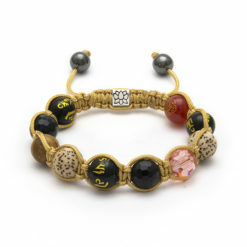 Feel both, your energy and your bracelet’s energy, harmonizing together; as if they are dancing together.